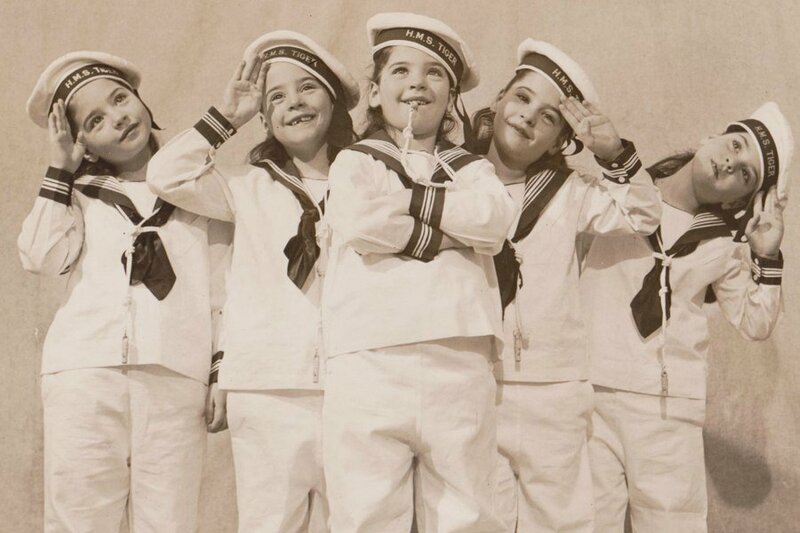 Dionne Quintuplets: Inside The $500 Million "Freak Show"
See the photos and hear the story of the Dionne quintuplets, five Depression-era sisters unlucky enough to have all been born at the same time. 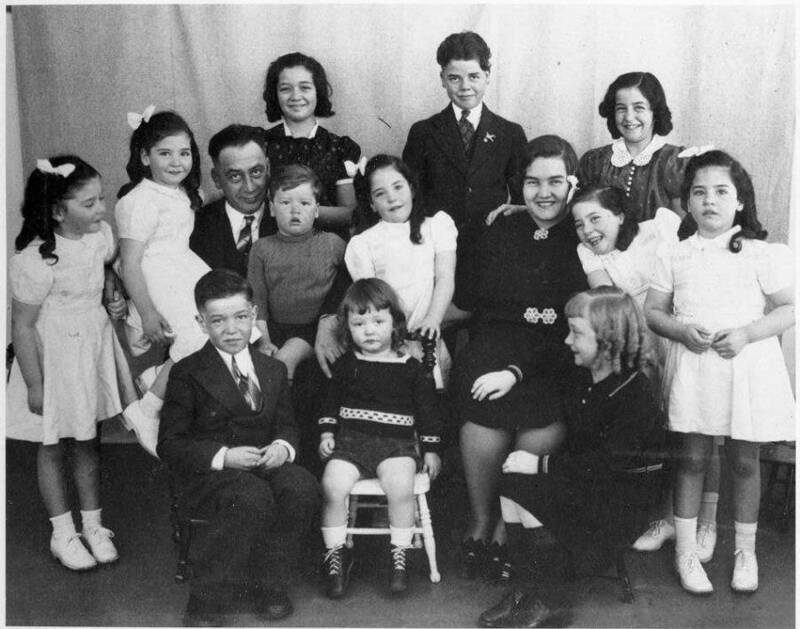 Wikimedia CommonsOntario premier Mitchell Hepburn poses with the Dionne quintuplets. ELZIRE DIONNE THOUGHT SHE HAD BEEN CARRYING TWINS. She’d been having unusually bad cramps and, during her third month, had even passed a strange object that was likely a miscarried fetus. Yet there was still no reason to suspect that she was carrying more than two. Then, four months later and two months premature, Elzire suddenly went into labor. In the middle of the night on May 28, 1934, Dr. Allan Roy Dafoe and two midwives were summoned to the small farmhouse Elzire and her husband Oliva shared just outside the village of Corbeil in eastern Ontario, Canada. By the time it was over, five babies were born. 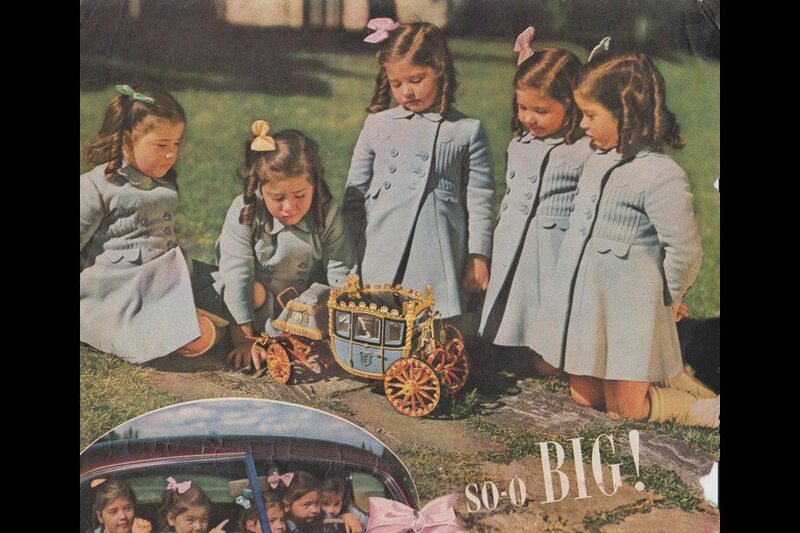 Although they ended up becoming the first quintuplets ever known to survive infancy, the Dionne quintuplets — Annette, Émilie, Yvonne, Cécile, and Marie — never should have made it at all. Born dangerously premature, all five girls initially weighed less than 14 pounds combined. Each newborn could fit in the palm of an adult’s hand. Thus, neither Dafoe nor Oliva thought the babies would live. Then, just after the births, Elzire herself went into shock and Dafoe feared she too would die. But within two hours, Elzire had stabilized. And within a few weeks, her infants would do the same. 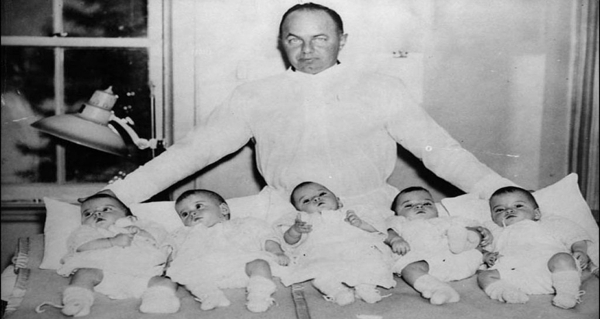 Wikimedia CommonsElzire with the Dionne quintuplets soon after their birth. Those first weeks, however, were precarious. The girls were placed in a blanketed wicker basket near an open oven door for warmth, kept under constant watch, and fed a mixture of water and corn syrup. 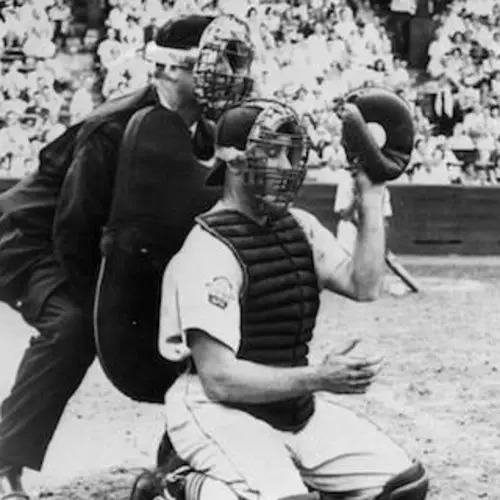 They’d soon graduate to a homemade formula consisting of water, corn syrup, milk, and rum (which was apparently believed to act as a stimulant). Through those first days and weeks, neighbors pitched in, with mothers from nearby villages bringing breast milk for the girls. And because Oliva’s brother had tipped off the papers, offers of assistance were rolling in not just from nearby villages, but soon from across the entire continent. But with a proposal to exhibit the newborns at the upcoming Chicago World’s Fair rolling in just as quickly, the helpful offers weren’t the only kind the Dionnes were getting. It took no time at all for the circus to begin. 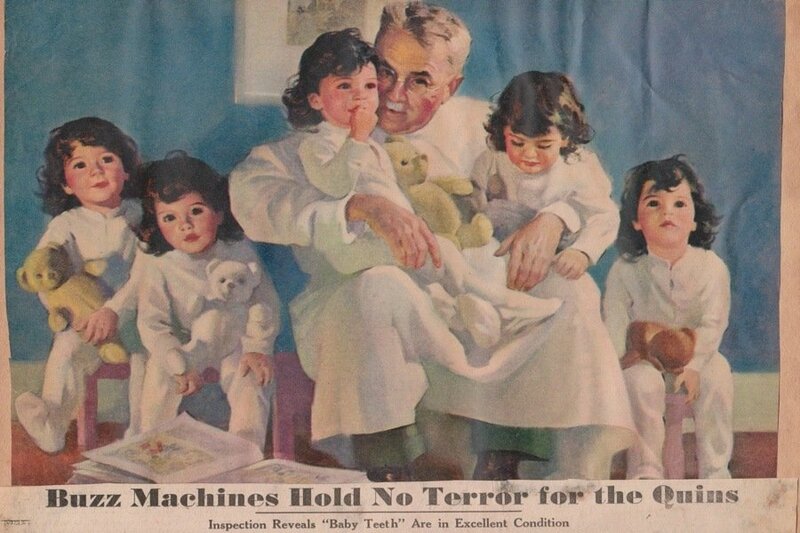 Mere days after the girls were born, Oliva, a poor farmer who’d already been supporting five children before the quintuplets were even born, entered into negotiations with the Chicago World’s Fair and soon signed their contract. Oliva cancelled the contract the following day, but the damage was done. 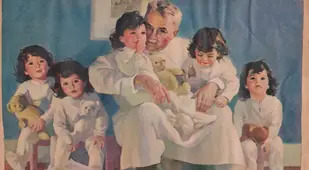 A few weeks later, with the Dionne quintuplets just four months old, Ontario’s government, fearing for the girls’ safety and wellbeing, interceded and took them from their parents. 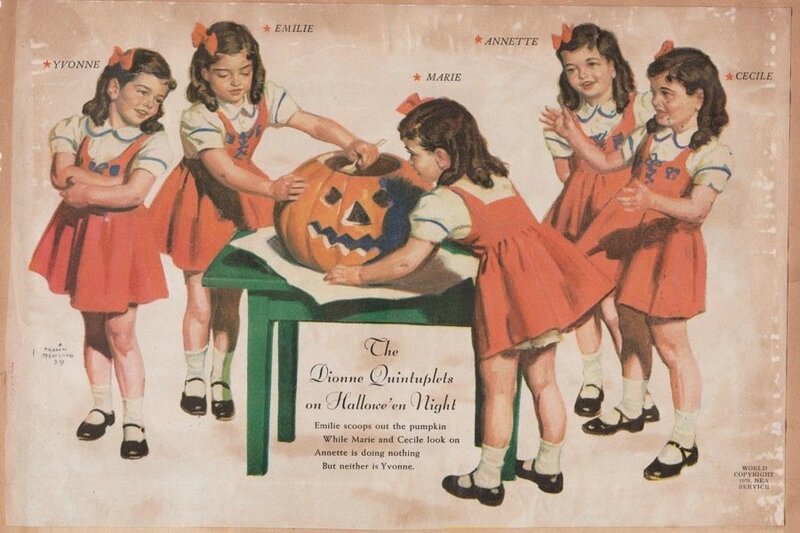 But this only sent the Dionne quintuplets out of the frying pan and into the fire. Wikimedia CommonsThe living quarters that the government constructed for the Dionne quintuplets. The facility soon became known as Quintland and served as a major tourist attraction, necessitating the extensive barbed fencing above. 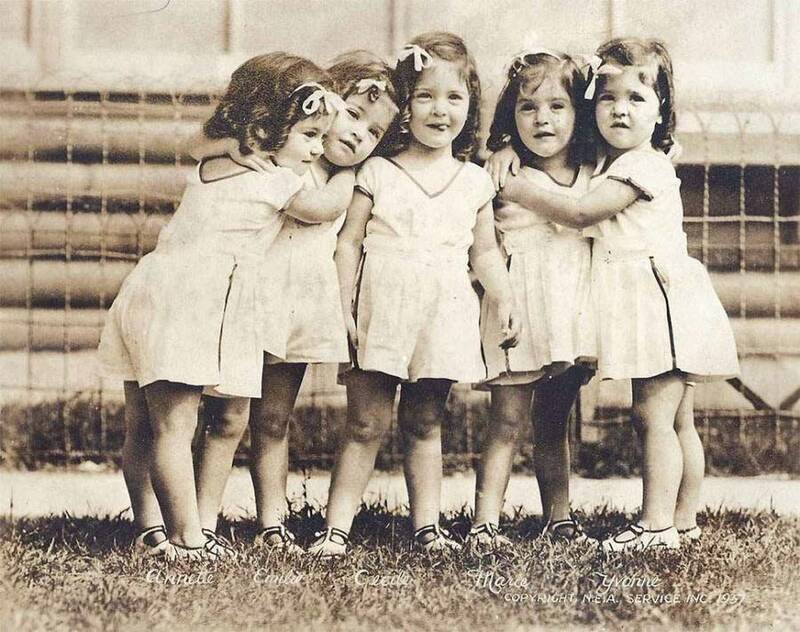 By the time Ontario Premier Mitchell Hepburn officially had the government take guardianship of the girls, the powers that be realized that these quintuplets could generate vast sums as a tourist attraction. The guardianship was only supposed to last two years. It ended up lasting nine. And over those nine years, generate vast sums the girls indeed did. First, the government moved the girls into a hospital/nursery complex across the street from their parents’ house. There, the girls were watched over by a staff of nurses as well as Dr. Dafoe and kept safe by a team of policemen and extensive barbed-wire fencing. But that fencing was surely there just as much to keep intruders out as it was to keep the girls in. 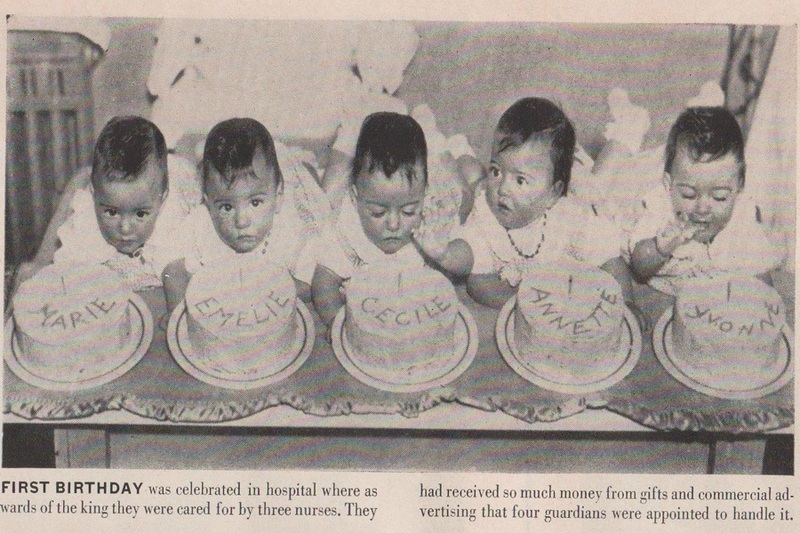 For while the quintuplets were kept healthy and safe, they were also ceaselessly exploited. At first, seeing the girls meant that nurses would take them to the balcony and show them off to the crowds below. Later, visitors were allowed to view the girls at play in their recreational area — enclosed in glass covered with a fine mesh that allowed the visitors to see in while preventing the girls from fully seeing out. All they could see were the shadows. By 1937, approximately 3,000 shadows were passing through the complex, now known as “Quintland,” every single day. By 1943, about 3 million total tourists had come to see the girls. Quintland had become Canada’s biggest tourist attraction — bigger than Niagara Falls. And as much as that carnival was indeed smack in the middle of nowhere, some estimates claim that in just nine years, Quintland’s revenue totaled as much as $500 million (enough to keep the entire province of Ontario from going bankrupt at various times during the Depression). Oliva even opened his own souvenir shop outside the small home he briefly shared with his girls — and across the street from the sprawling complex they now occupied. Those doctors may at least have had their eyes on science. Plenty of others, however, even those far beyond Ontario’s borders, had their sights set squarely on money. Neither Hollywood nor Canadian and U.S. advertising firms were going to let Ontario and Quintland reap all the financial reward. 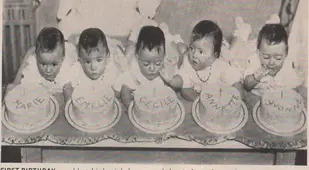 Between 1936 and 1939, the Dionne quintuplets appeared in three films, all essentially retellings of their own story, and an Academy Award-nominated documentary short. As the world became well acquainted with the Dionne quintuplets, the girls' parents, still living across the street from the Quintland circus, hardly saw them at all. The girls simply weren't often let out, nor their parents let in. "We didn't know each other," Cécile later remembered. For years, the girls' parents had been working to correct that, fighting a sustained custody battle with the state. 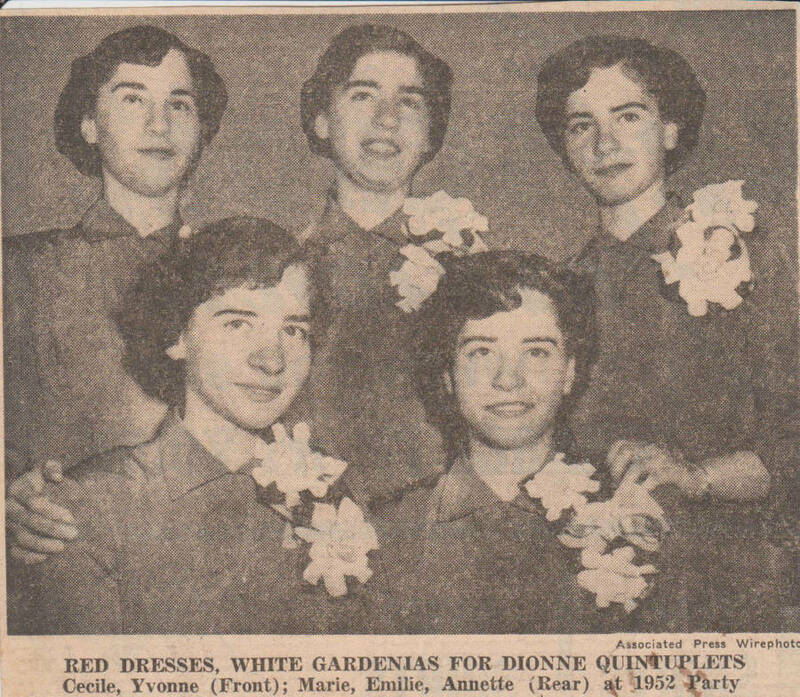 And finally in late 1943, the Dionnes got their quintuplets back. But once again, things simply went from bad to worse. According to their autobiography, the home the girls returned to was "the saddest home we ever knew." Of course, the girls were scarcely returning to the same home at all. Not long after the girls went back with their parents, the family moved just down the road to what they'd ultimately call "The Big House," a luxurious mansion paid for by the still sizable fraction of the revenue that the government had let the girls themselves keep. 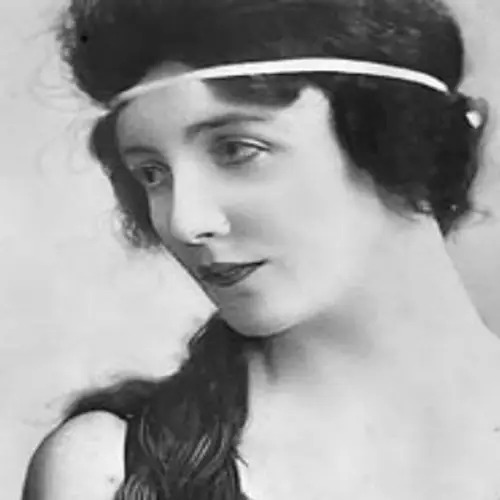 Furthermore, having grown bitter and distrustful after the government had taken their girls away, the Dionnes acted as if "they had been partners in some unspoken misdeed in bringing us into the world" and that the girls were "drenched with a sense of having sinned from the hour of [their] birth" (according to We Were Five). But, despite their parents' emotional coldness and financial exploitation, it wasn't until decades later that the deepest, darkest reason why this was the saddest home the quintuplets ever knew would be revealed. 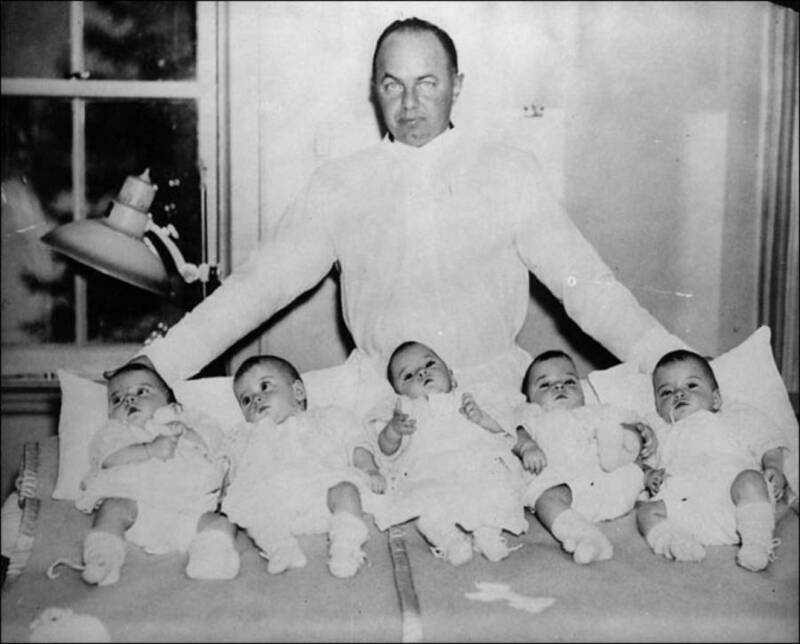 Wikimedia CommonsThe reunited Dionne Family, including their mother, father, siblings, and the quintuplets themselves in white. 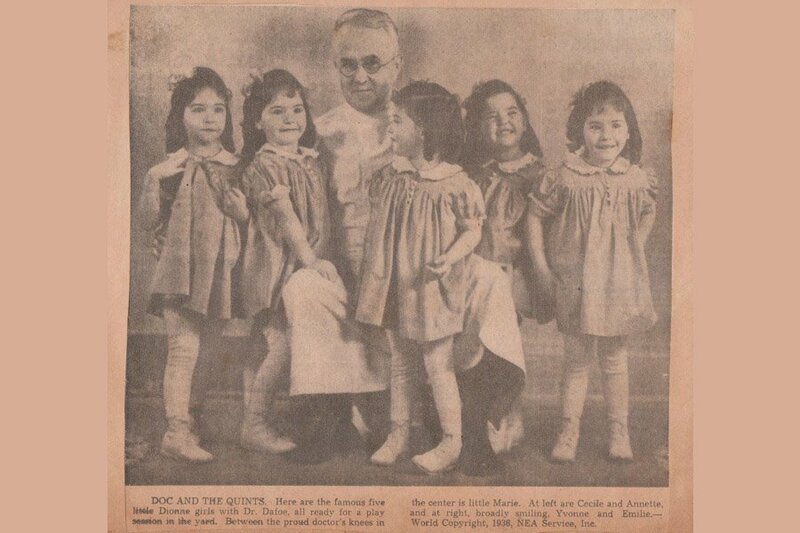 After decades of silence, the remaining sisters revealed in their 1995 book, The Dionne Quintuplets: Family Secrets, that upon their return home in the 1940s, they were sexually abused by their father. Oliva took the girls on car rides one at a time, the sisters alleged, and "touched them in a sexual way." When they tried to tell the school chaplain, they were instructed to "continue to love [their] parents and wear a thick coat when [they] went for car rides." For decades, they never told anyone else. By the time they finally broke the news on a Canadian television program linked to their book release, the interviewer remarked, "These women are completely destroyed psychologically." 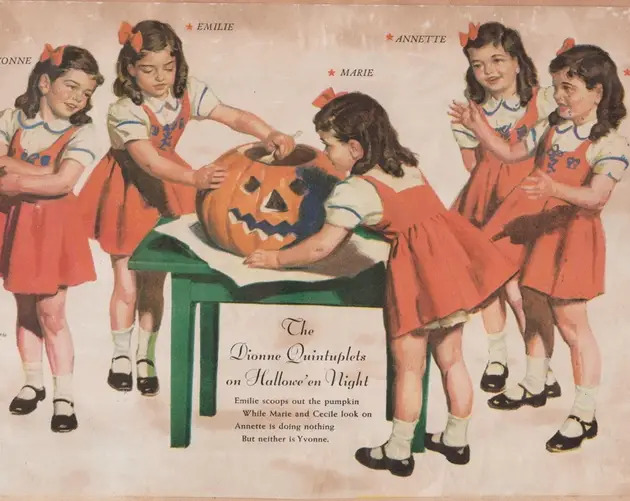 While the Dionne quintuplets had, by the time they were teenagers, indeed endured far more psychological scarring than most anyone that age conceivably could, little that happened afterward would do anything to heal those wounds. At 18, the girls left home and rarely spoke to their family ever again. Two years later, Émilie died of a seizure. Sixteen years after that, Marie died of a blood clot. By the 1990s, Annette and Cécile, having both been divorced, moved into a house with Yvonne just outside Montreal. Despite the fact that they had generated hundreds of millions of dollars, the sisters received a trust of just $1.8 million, which was then decimated by their parents and other mysterious losses. Now, the three remaining sisters were living together on a combined income of just $525 a month. Barely scraping by, the sisters asked for help from the government that had taken control of them 50 years before. The government proposed a combined $4,200 per month as a take-it-or-leave-it offer. The sisters left it. But with public opinion on their side, the government was forced to reconsider and ultimately settled for a one-time payout of $2.8 million. Though that may seem like a big sum, it's both a drop in the bucket compared to what the sisters earned nor is it what they truly wanted when they turned down the government's initial offer: a public, detailed inquiry into the abuses, financial and otherwise, that they had suffered at the hands of the government a half-century earlier. 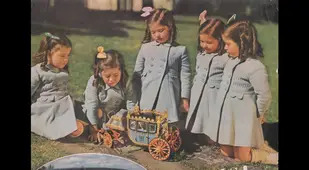 Today, with the principals dead and gone, and only two of the Dionne quintuplets themselves, Cécile and Annette, still alive -- Yvonne died in 2001 -- the full truth may never come out. It's hard not to imagine what life would now be like for Cécile and Annette had they been the only ones, had there been just two and not five, had Elzire Dionne simply been carrying twins. Next, discover the stories of some of the members of history's most infamous "freak shows" and take a look at the story of "Lobster Boy." 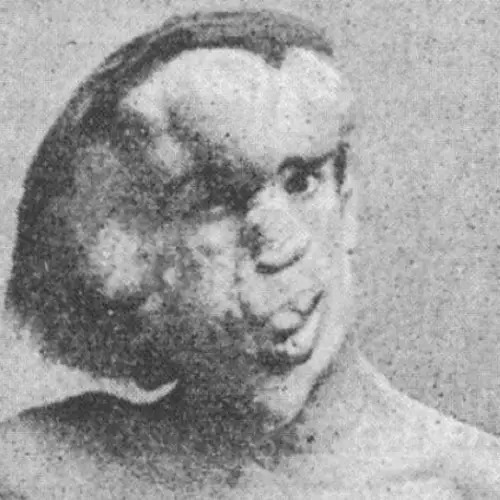 Then, meet Walter Yeo, the WWI sailor who received a horrifyingly rudimentary partial face transplant, and Leonid Rogozov, the Russian doctor who was forced to perform emergency surgery on himself.